Irish pop singer and TV personality who was a member of the music group Industry and performed with the boy band Streetwize. 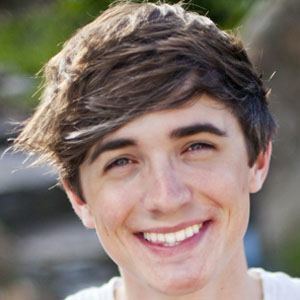 He was a finalist in the Irish Eurosong 2008 competition, meaning that he narrowly missed the chance to represent his native Ireland in the Eurovision Song Contest. He released two #1 pop singles, "My Baby's Waiting" and "Burn," with Industry. He grew up in Dublin, Ireland. He married Sofie Larsson in June of 2015. He became known as a culinary writer and chef, as well as a pop musician. In 2012, he became a judge on the BBC's Junior MasterChef, a reality cooking competition that featured Luke Thomas and other renowned chefs.